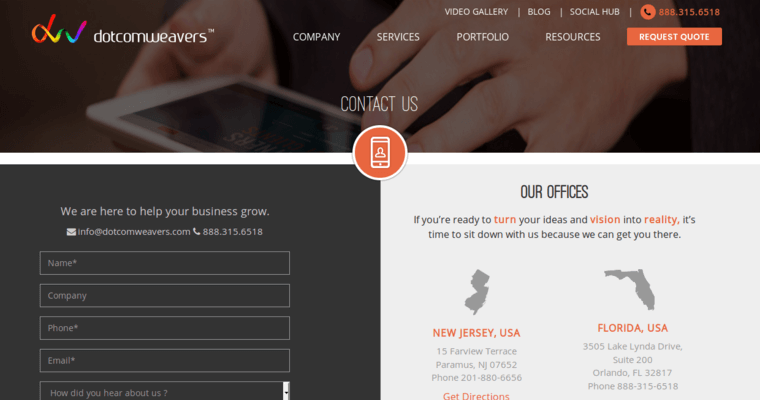 Founded in 2007, Dotcomweavers is a web design company that was started in Paramus, New Jersey. They currently have over 50 employees and have opened up offices in New York City and Orlando, Florida as well as Hyderabad, India. Staying ahead of the latest trends in digital marketing and web design has helped fuel their growth. They designed responsive websites that were mobile-friendly long before Google's search algorithms required it. 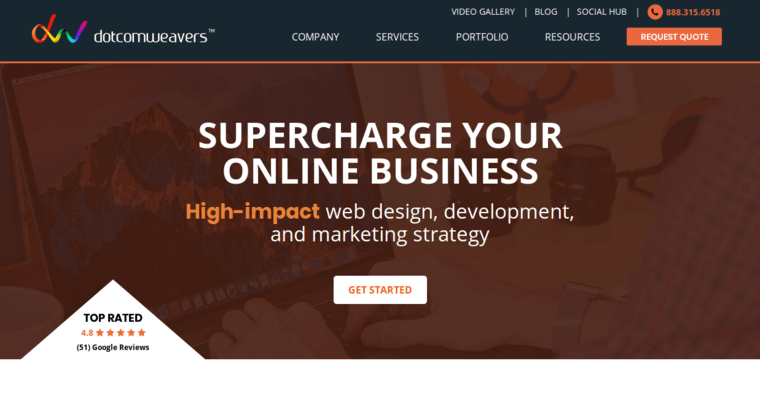 Their website designs also reflect a consistency that professionally and uniquely highlights each client's brand. They stress simplified design in order to maximize performance and improve the user experience. All of these elements are critical in how their websites are so good at converting visitors into customers for their client's. 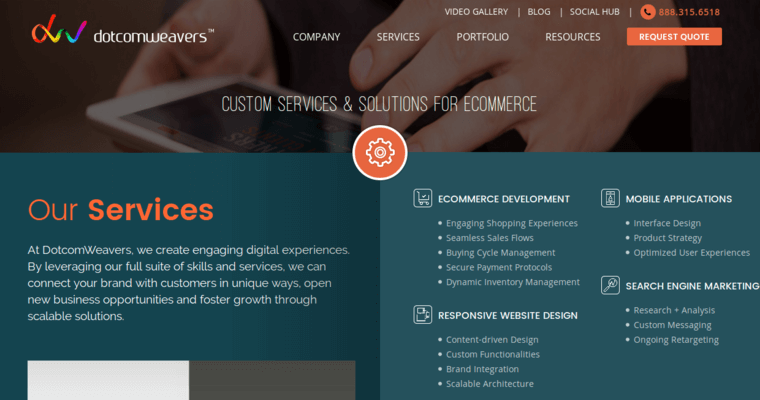 Their own website has an impressive showcase of sites the team at Dotcomweavers has done for other clients, and they also offer mobile application development and search engine marketing services.